The restaurant will provide hands-on job training and placement for prospective chefs with barriers to entry. Just a block away from its historic market, Findlay Market is putting the finishing touches on its new venture Social OTR, set to open Thursday, February 7. 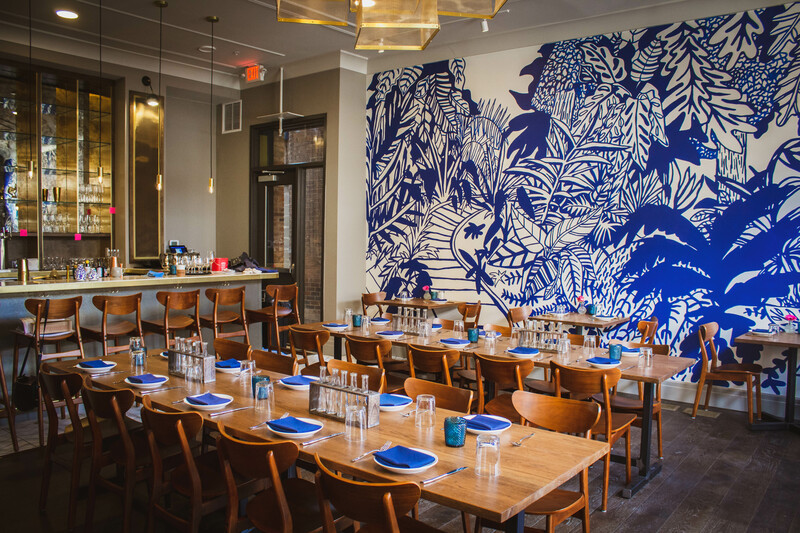 The restaurant promises to be a first-of-its kind communal dining experience with a philanthropic bent. For diners, the experience might seem like another night out, sampling the latest in Over-the-Rhine’s trendy, evolving culinary scene. For the cooks in the kitchen, however, it’s much more: It’s the start of a new life. That’s because the soon-to-be chefs perfecting their sautéing and knife techniques on the line are also sharpening their life skills, training for a new career. Social OTR is the manifestation of Findlay Market’s partnership with local social services agency CityLink Center to host a four-month internship program with students from the Findlay Culinary Training Program who would otherwise have steep barriers to entry in seeking employment. The restaurant’s general manager Anthony Berin spearheaded the effort with a Kickstarter campaign he launched last summer, exceeding the $20,000 goal to get the project off the ground. At no cost to the trainees—about 10 to 12 at a time—each studies the basics of cooking and learns the mathematics behind the business side for the first four weeks of the program and then receives their state certifications. 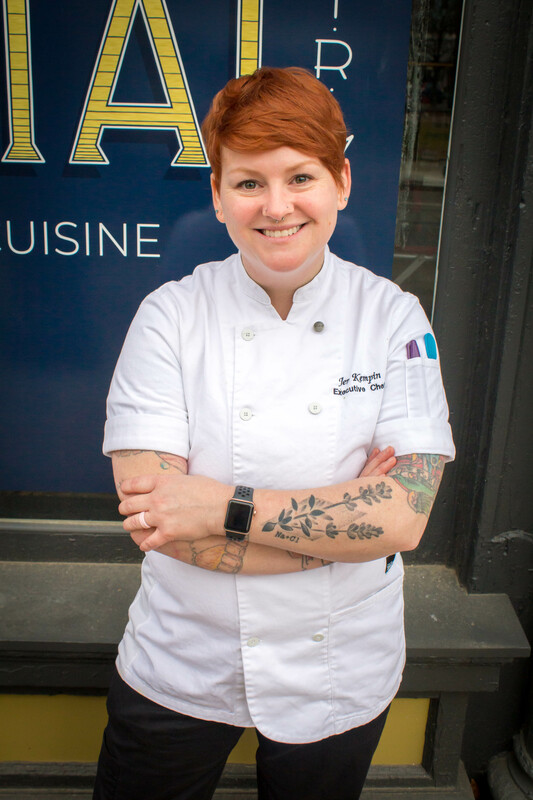 After the first month is complete, they begin their paid externship at Social OTR working alongside industry professionals, “where they will work and run the kitchen as if they were in any other kitchen or restaurant,” explains Social OTR Executive Chef Jennifer Kempin. “They spend 12 weeks with us, at which point we work with an employment specialist who works specifically for Social OTR, and we help place them into jobs,” Kempin says. Kempin, herself, worked her way up from a fast-food job as a teenager through the kitchen ranks as a dishwasher, a busser, and a prep cook before earning her bachelor’s degree from the Culinary Institute of America and then her master’s degree in food studies from New York University. She urges others not to hesitate pursuing a culinary career if they have a passion for cooking.